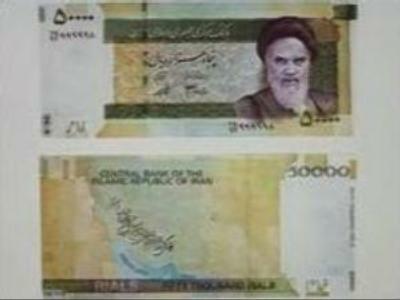 As concern over Iran's nuclear programme continues, the country has issued a new bank note decorated with a nuclear symbol. The note is printed in orange, green and blue and shows orbiting electrons within a map of Iran. The larger bill reflects the rising inflation in Iran which has led to criticism of President Mahmoud Ahmadinejad's policies. The note has been seen as an assertion of Iran's national will in the face of UN sanctions over its uranium enrichment activities.